Q: Is this animated like a cartoon or is it of textural/3D modeling? Q: Why isn't Gopher in this movie? Winnie the Pooh is a marvelous and innocent adventure that has been anticipated by me since its trailer debut. Every time I see the trailer, equipped with the wonderful song "Somewhere Only We Know," I break down. There is not a thing sad in the trailer, but just the soft melody of the song, combined with warm and vibrant characters from my younger years just puts me in tears. It's cute, innocent, and just the way I wanted it. I am beyond grateful that this didn't support the 3D epidemic sweeping our nation these past years. Winnie the Pooh is made up of hand-drawn animation that gives itself a water-color sort of look. It's truly a throwback, and is a nice break from all the CGI animation that, while nice to look at, can't match the feel of classic animation. I couldn't imagine Winnie the Pooh in CGI anyway. Before the movie, we get a short called The Ballad of Nessie, a kind and gentle Loch Ness Monster who lives with her rubber-ducky. Her pond gets taken over by a golf company and she is forced to move out and find a way home. The short is sad, and well crafted simultaneously. Combined with gentle narration. 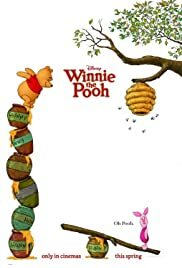 On with the film, the story starts out as Pooh (Cummings) trying to find some "hunny." Then, much to the surprise of everyone, Eeyore's (Luckey) tale has gone missing. Christopher Robin (Boulter) holds a contest with all his friends to find a new tale for Eeyore. Whoever finds a good enough tale will win a jar of honey. The next day, the gang still tries to find the tale when they find a note from Christopher Robin saying "Gon out back soon C.R." Owl (Ferguson) convinces the gang that the "back soon" means "The Backson," a vicious monster who does so many unexplainable things which they make up on their own. So now it's up to everyone to go into the woods and find The Backson and get their friend back. There is a lot of singing in the film. Lots of well composed songs are in here, my favorite being "The Backson Song." I wasn't under the impression this was a musical, but the more I thought about it the more it made sense. The target audience for this is most likely between 4-8. So to put in a lot of soft and melodic songs in it was a good idea. Winnie the Pooh is perhaps the most gentle film I can remember. Even the "scariest" scenes won't freak out the little ones, and everything is so calm, so tender, and so unobtrusive it's wonderful. Growing up with Winnie the Pooh, this film was everything I wanted it to be. I wanted it to be nostalgic, warm, and inspiring. During moments of this film, my eyes watered. I can't answer if someone asked me "Why?" I think it was because the film was so joyful and very sweet. Plus, these are characters that I've known since my childhood. I was grateful they didn't play the song "Somewhere Only We Know" from the trailer. I would've broke down in front of everyone. The voice acting is beautiful. The film doesn't market its actors either. There is no grade-A "Brad Pitt," "Ellen DeGeneres," "Johnny Depp" marketing scheme here. The actors who voice the characters were chosen because they were fit to voice whoever they were able to. They weren't picked because their names look good on a poster. This is probably the best Disney film in years. It goes back to everything that made Disney so great when they started off. Hand-drawn animation, a lovely story line, and a positive feel. 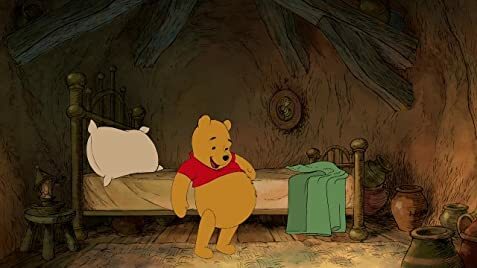 Even at an incredibly short sixty-nine minutes, (minus, maybe, five from the beginning short) Winnie the Pooh is lovely, crafty, and limitless. Voiced by: Jim Cummings, Tom Kenny, Craig Ferguson, Travis Oates, Bud Luckey, and Jack Boulter. Narrated by: John Cleese. Directed by: Stephen Anderson and Don Hall.